My Handbound Books - Bookbinding Blog: Happy 2009! Thank you to everyone who visited throughout 2008. 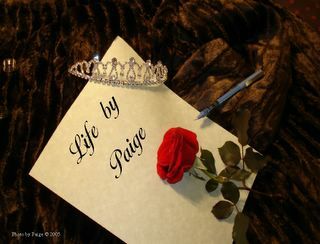 It is so nice that you keep coming back, time after time, reading about my little projects and leaving me your encouraging comments and support. So I will try to keep it interesting for you again this year! 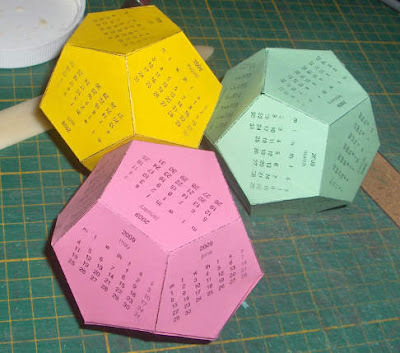 I had fun recently making dodecahedron calendars for 2009. I got a printable file from Paper2Rock2Scissors and made these kewl 12-sided calendars. The files are nicely prepared and easy to use with clear instructions. And the finished product is such a great shape! Hi Rhonda! I wanted to wish you a very happy New Year and all the best for 2009!!! sooo cool! a belated new year to you!